When it comes to improving our health, most doctors advise us to eat more fruits and vegetables, but not many of them prescribe gardening time. Gardening offers a large number of health benefits, including physical and mental ones. This popular activity gets us out in the fresh air and sunlight and it also gets us moving. Since digging, planting, watering, weeding, and other repetitive gardening tasks require strength and stretching, gardening is a wonderful way to get physically active. Furthermore, according to a number of studies, gardening can fight stress and relax us. By forcing us to slow down and carefully tend our plants, gardening teaches us and remind us to live in the present moment. The simple act of looking at a bountiful garden is strong enough to put us in a positive mood. Some studies show that gardening may even help improve depression symptoms. Now that you know why putting your hands (maybe even toes) in the dirt is an amazing idea, you should learn the basics. First of all, you should decide where you’ll plant your green babies: directly in the soil (if your backyard is spacious enough), in raised garden beds, or start your gardening journey with the help of a few containers. Experienced gardeners say that it’s best to start off with a small number of “easy” plants, no matter whether you want to grow fruits, veggies, and herbs or flowers and shrubs. When it comes to looking after your greenery, you mustn’t forget that every plant needs sunlight, water, nutrients, and soil to survive and thrive. That’s precisely why you should do your homework and gather the key pieces of information about the fruits, veggies, and other plants you’ve decided to grow. Some require full sun and lots of water, whereas others can grow well in the shade. This means that their location is immensely important as well. Moreover, plants need to be properly fed. Nitrogen (N), phosphorus (P), and potassium (K) are crucial for your plants’ health and growth. That’s precisely why you’ll need to purchase a quality, possibly organic fertilizer. Why organic? Well, because organic fertilizers are made from naturally occurring mineral deposits and also because they stimulate beneficial soil microorganisms and improve the structure of the soil. Aside from fertilizers, you will also need gardening equipment. When it comes to garden supplies Melbourne is filled with both online and physical nurseries that sell high-quality gardening products, such as trowels, hand forks, hoes, pruners, watering cans, hoses, shovels, and gloves. 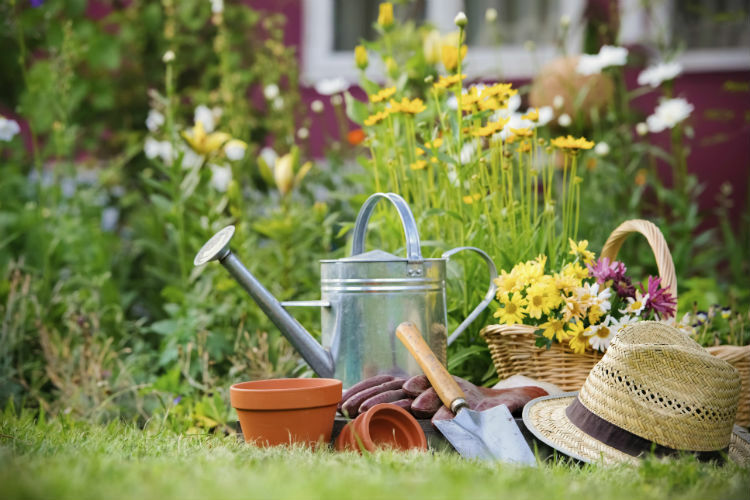 When shopping for garden supplies Melbourne longtime gardeners say that you need to pick high-quality potting soil, watering cans, and small trowels for they are the essential items of gardening equipment. If you fear that you might make a bad decision, I advise you to get in touch with a friend of yours who’s been on the plant-growing train for many years now and “steal” a portion of their gardening savvy. I’m sure they won’t mind.